Smart, tiny, and powerful. That may be the future of space technology, and Lockheed Martin’s new satellites are ready to fill a big role. A new generation of satellites launching this year will be able to change their missions in orbit, permitting users to add capabilities and assign new missions with a software push. It’s just like adding an app on a smartphone. The new tech, called SmartSat, is a software-defined satellite architecture that will boost capability for payloads on several pioneering nanosats ready for launch this year. This year Lockheed Martin is integrating SmartSat technology on ten programs and counting, including the Linus and Pony Express nanosats, which will be the first to launch. These are rapid-prototype, testbed satellites using internal research and development funding, ready for 2019 launches on the first LM 50 nanosatellite buses. Pony Express builds multiple 6U satellites destined for a low earth orbit and will space qualify state-of-the-art networking technologies. Cybersecurity is at the core of this new technology. SmartSat-enabled satellites can reset themselves faster, diagnose issues with greater precision and back each other up when needed, significantly enhancing resiliency. Satellites can also better detect and defend against cyber threats autonomously, and on-board cyber defenses can be regularly updated to address new threats. 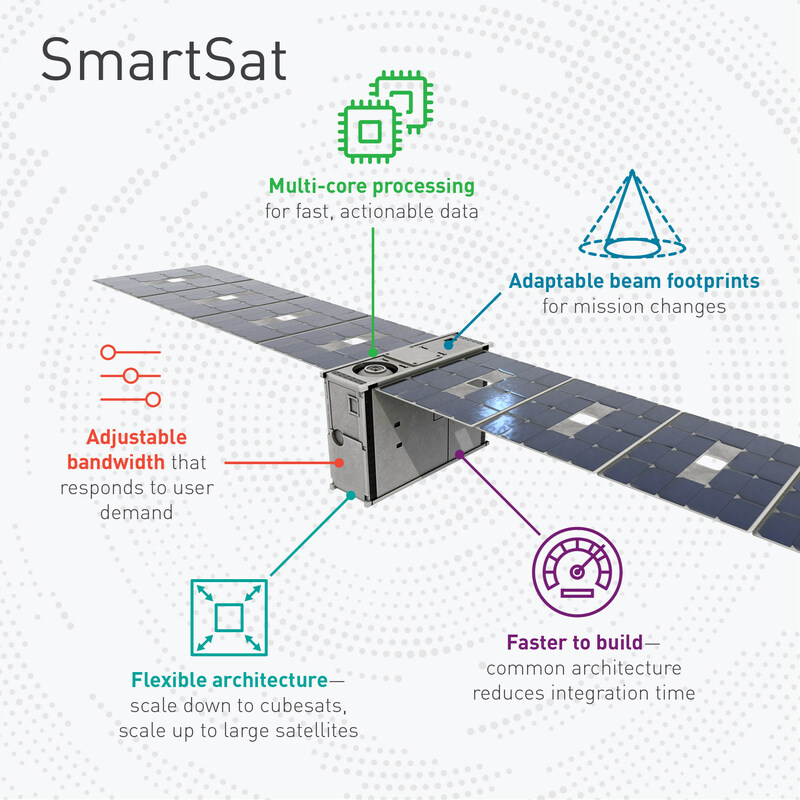 SmartSat lets a single computer operate multiple servers virtually to maximize memory, onboard processing, and network bandwidth. It takes advantage of multi-core processing, something new to space. That lets satellites process more data in orbit so they can beam down just the most critical and relevant information—saving bandwidth costs and reducing the burden on ground station analysts, ultimately opening doors for tomorrow’s data centers in space.